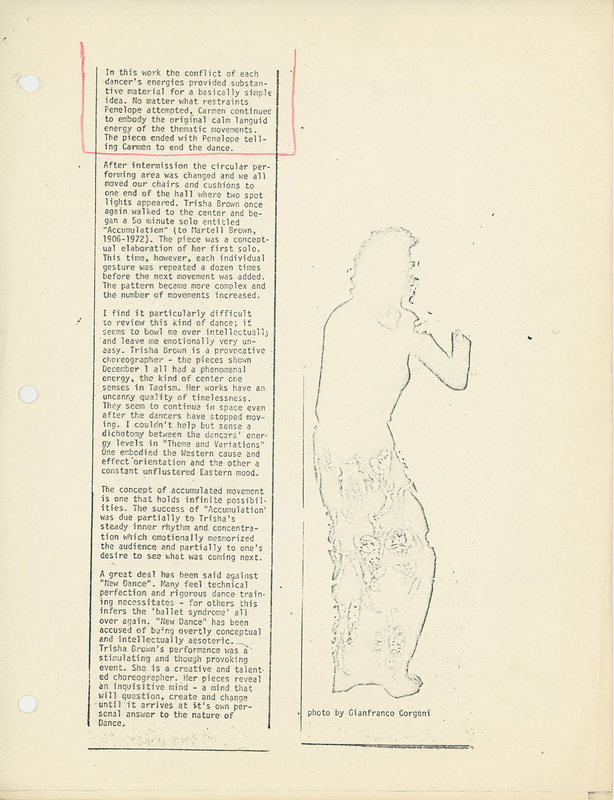 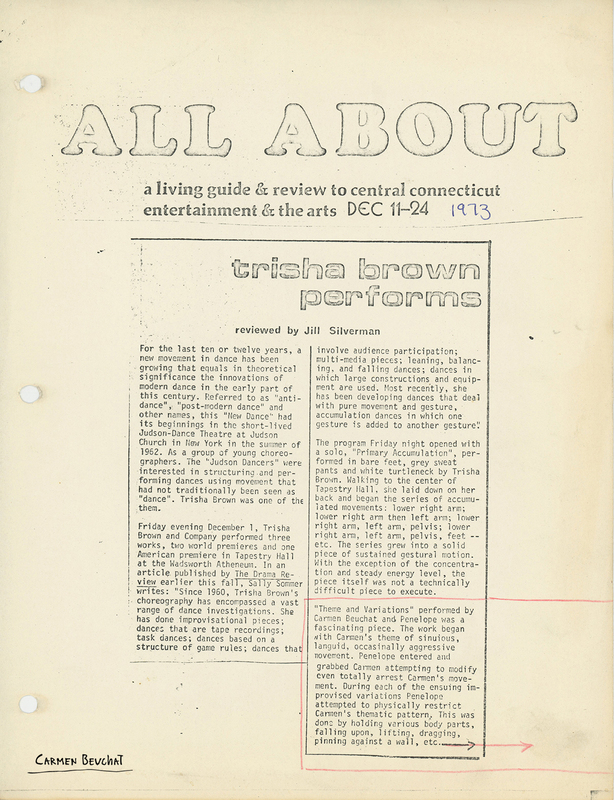 Press review written by Jill Silverman for All About magazine, titled “Trisha Brown Performs” published on December 11th, 1973 in New York. 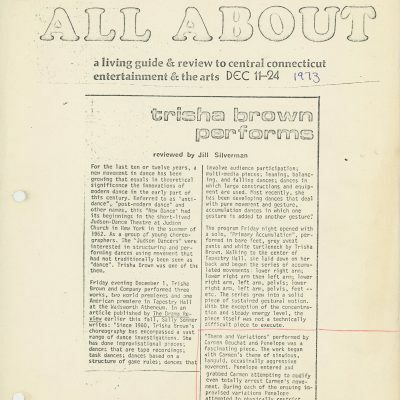 It analyzes three performances directed by Trisha Brown shown at the Tapestry Hall at Wadsworth Atheneum in New York. 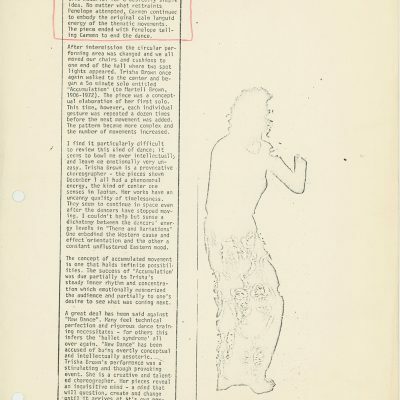 The first performance interpreted by Trisha Brown was “Primary Accumulation”, the second one interpreted by Carmen Beuchat and Penelope was “Theme and Variation” and the last one interpreted by Trisha Brown was “Accumulation”.